For anyone using a network attached storage (NAS) device, there may come a time when they wish to reset the NAS. The QNAP TVS-463 has five options available for either resetting or reinitializing the NAS. Two options use the reset button on the TVS-463. 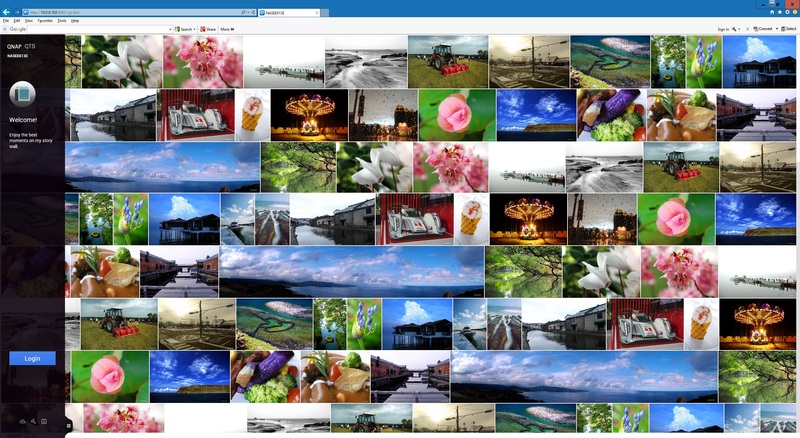 The other options are accessed using QNAP’s web browser interface. All four options will be looked at and steps for resetting or reinitializing the TVS-463 using the two option in the web browser interface will be discussed. There are two options available for resetting the TVS-463 when using the reset button on the NAS. Pressing and holding the reset button for three seconds will reset the administrator account password and system settings to the default ones but the user data will not be removed. Pressing and holding the reset button for 10 seconds will remove all settings such as users, groups, and shared folders but the user data itself will not be touched. To reset the device using one of these two options, use a pen to press and hold the reset button on the back of the TVS-463 for either three or 10 seconds depending on the type of reset that is needed. Of the three options that can be accessed using the web browser interface, the Restore Factory Defaults & Format all Volumes option restores the system settings to the default settings AND formats the drives in the TVS-463. The second option is used to reset user settings much like the 10 second reset button option but users will have a few steps to go through before the reset will occur. The third option is the equivalent of nuking all of the data and settings on the TVS-463 as users will reinitialize the NAS. After reinitializing the TVS-463, users will need to set everything back up on the NAS. If you need to restore the factory defaults and format the drives in the NAS, use the steps in the next section. If resetting the NAS, use the steps in the Resetting the TVS-463 NAS section. If you need to reinitialize your TVS-463, please use the steps in the Reinitializing the TVS-463 NAS section below. Both sections require that users are already logged into the web browser interface. If you are not able to login to your QNAP NAS, use the three second reset button method identified earlier to reset the administrator account password and then login using the default administrator username and password. 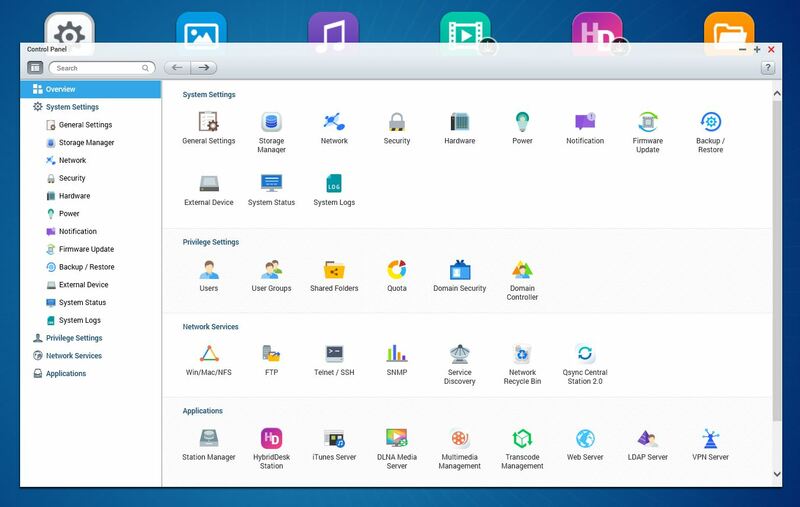 Users have the option to backup and restore all settings, user accounts, the server name, and network configuration. The process to do that has been looked at in the Backup and Restore Settings with the QNAP TVS-463 article. The contents of the right frame of the Control Panel window will change to the Backup/Restore Settings tab. Click on the Restore to Factory Default tab. To restore factory defaults and format all disk volumes, click on the Restore Factory Defaults & Format All Volumes button. A window will load asking if the NAS should be resarted or shutdown after the process completes. Click on the desired option. Another window will load, this one asks users to re-enter their password to confirm they wish to perform the process. After re-entering the password, click the OK button. 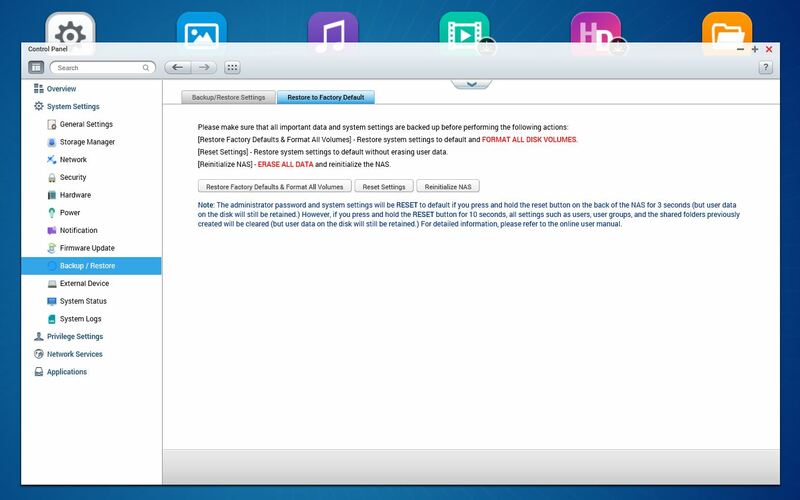 The NAS will start the Restore Factory Defaults & Format All Volumes process. After the Restore process finishes, the TVS-463 will restart. To load the login page, use one of the two LAN IPs. These IPs can be obtained by using the bottom button to the right of the display on the front of the TVS-463 NAS. Press the button 2 times to get the first LAN IP and a third time for get the second LAN IP. Enter the LAN IP in the address bar of the web browser. At this point, users can set the NAS back up. If users have created a backup of their settings, they can restore those settings at this time. The process to backup and restore user settings was covered in the Backup and Restore Settings with the QNAP TVS-463 article. To reset settings, click on the Reset Settings button. After clicking the Reset Settings button, a window will open asking users to choose whether they wish to restart or shutdown the NAS when the reset process has completed. Select the desired option and click the OK button. A window will load asking users to enter their password to confirm they wish to reset the TVS-463 NAS back to the default system settings. Enter the administrator password and click OK.
After clicking OK, the reset process starts and the following window will load. Just wait while the reset process completes as it may take a few minutes. After the reset process completes, the TVS-463 will load to the login window in the web browser. At this point, users can login using the default administrator login. At this point, users will need to manually reconfigure the settings and set back up users on the TVS-463 as necessary. 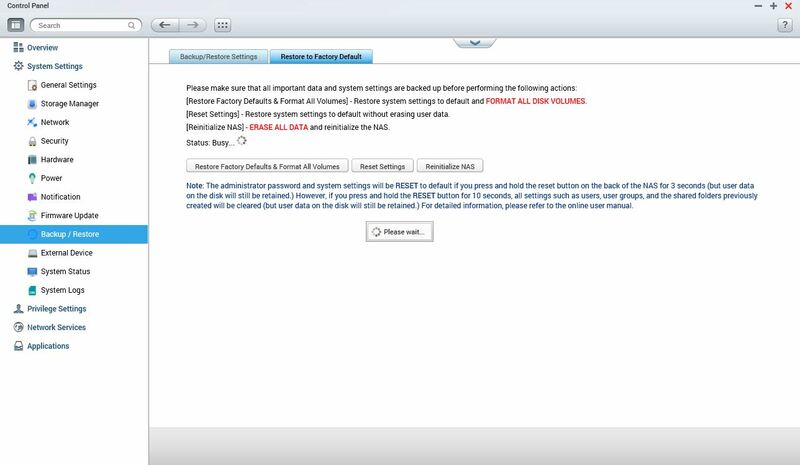 Users cannot use the setup utility at start.qnap.com after resetting the NAS as the NAS appears to retain some settings such as the name for the NAS that would need to be wiped out. Those settings are only wiped out when reinitializing the NAS. To reinitialize your NAS, please use the steps in the next section. To reinitialize the TVS-463, click on the Reinitialize NAS button. 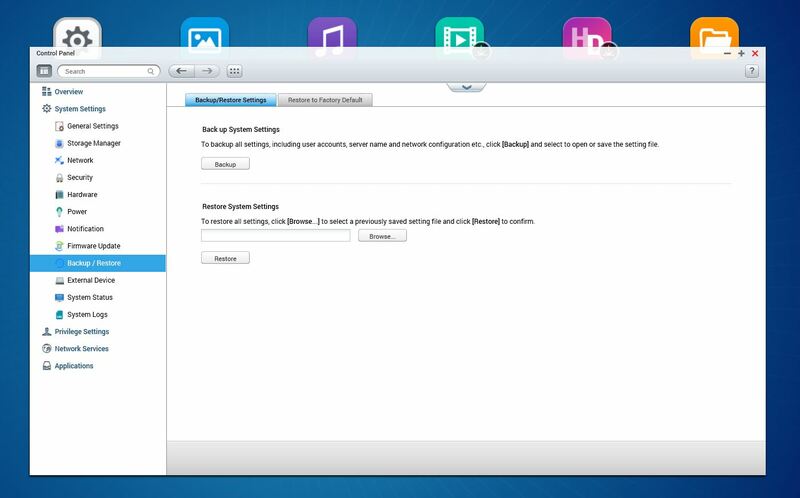 After clicking the Reinitialize NAS button, a window will open asking users to choose whether they wish to restart or shutdown the NAS when the reset process has completed. 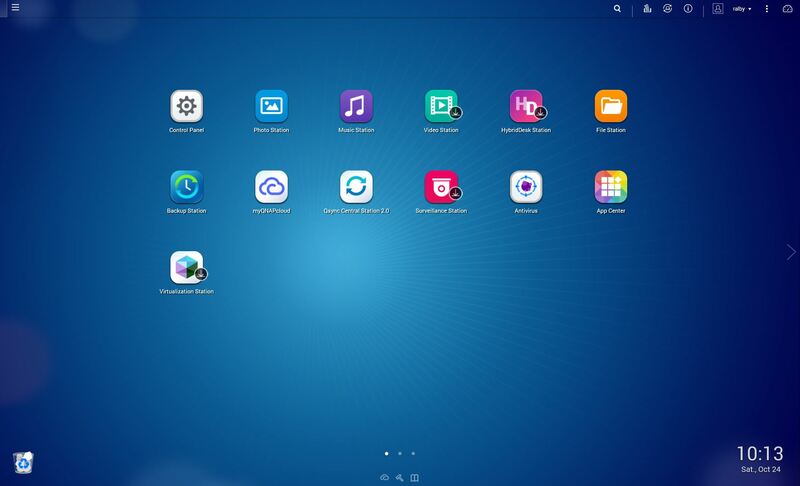 There is also a message that the process will take some time to complete as the reinitialization will remove all volumes, pools, and other settings. Select the desired option and click the OK button. A window will load asking users to enter their password to confirm they wish to reinitialize the TVS-463 NAS back to the default system settings. Enter the administrator password and click OK.
After clicking OK, the reinitialization process starts and the following window will load. Just wait while the reinitialization process completes as the process will take several minutes. After the reinitialization process completes, the TVS-463 will reload to the login window in the web browser. At this point, users can login using the default administrator login. At this point, users will configure the TVS-463 using QNAP’s Smart Installation Guide. The steps used by this guide are essentially the same ones used when setting up the NAS for the first time. The steps for configuring the TVS-463 are discussed in my How To: Setting up the QNAP TVS-463 NAS article. Users will start at step 14 of that quide when using the Smart Installation guide. I hope that no one needs to reset or reinitialize their TVS-463 or other QNAP model NAS but if the need arises, the options and accompanying steps above will help people get their NAS devices working again. As always, if there are any questions or comments, please feel free to comment below or email me using the link in my bio. I am in the situation that my qnap 412 is very unstable, I have a backup of all my data but I am not sure if I need to reset or reinitialize my qnap to get it back stable. It seems that the qnap firmware as booting takes very long and before network comes up it takes ages. sometimes it doesn’t come-up at all. the qnap was behaving very stable for 4 years and now it is unstable. I prefer not to wipe all data and fully reset and format the drives as it might not be necessary. what do you advise? I run 4.1.4. Or is the hardware of my qnap to old to run the latest firmware I dont think so. Any advise is welcome. My recommendation is to try resetting your NAS as that revert all settings to the default ones. If the cause of your NAS’s instability is caused by a setting, this may resolve your issue. If it doesn’t resolve the issue, I would recommend that you reinitialize the NAS as it will reload the firmware. You will need to reset up the drives but you would have a fresh install of the firmware. The other option to reset the settings and format all drives is new to QTS 4.2 so you won’t have that option with your current version of 4.1.4.